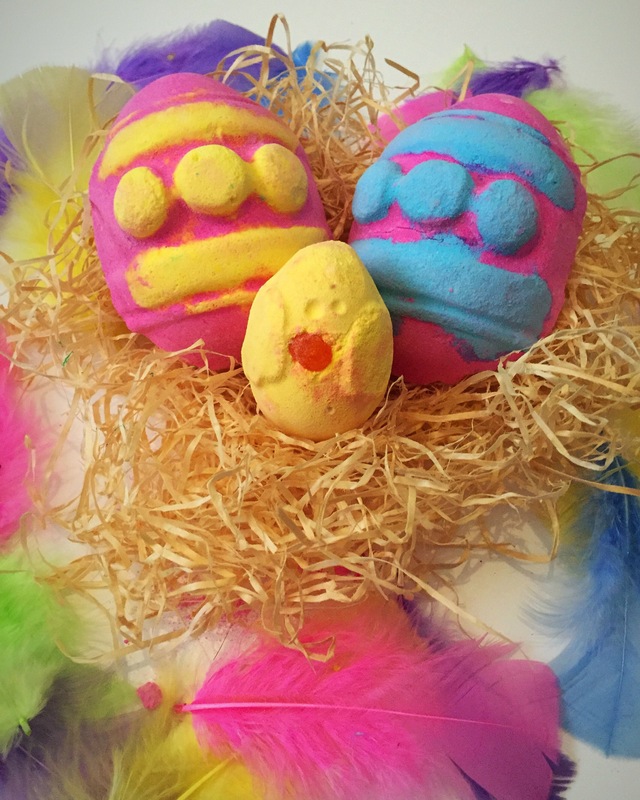 The which came first bath bomb is part of this years (2016) Easter range, this bath bomb has made an appearance before but under a different name. This year it has come back with a brilliantly suited name making it a perfect Easter item. 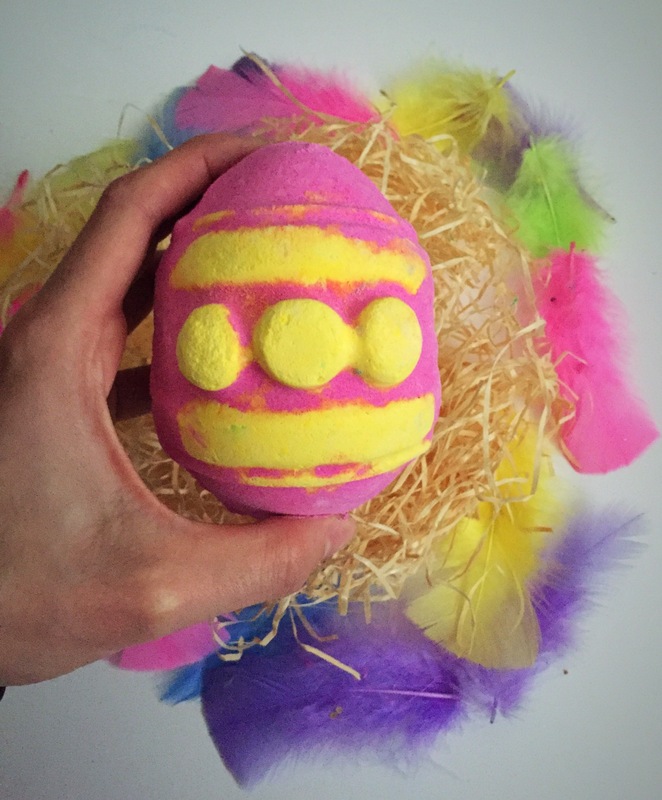 The which came first bath bomb is a little bit of an investment as it costs a hefty £6.95, but this bath bomb is designed to give you three baths meaning that it actually works out quite good value for money. This bath bomb is very large in size and shaped like a pink egg, the bath bomb is also decorated with a decorative blue and yellow design. Once cracked in half the bath bomb holds a little extra surprise and has a teeny tiny little chick bath bomb hidden inside. 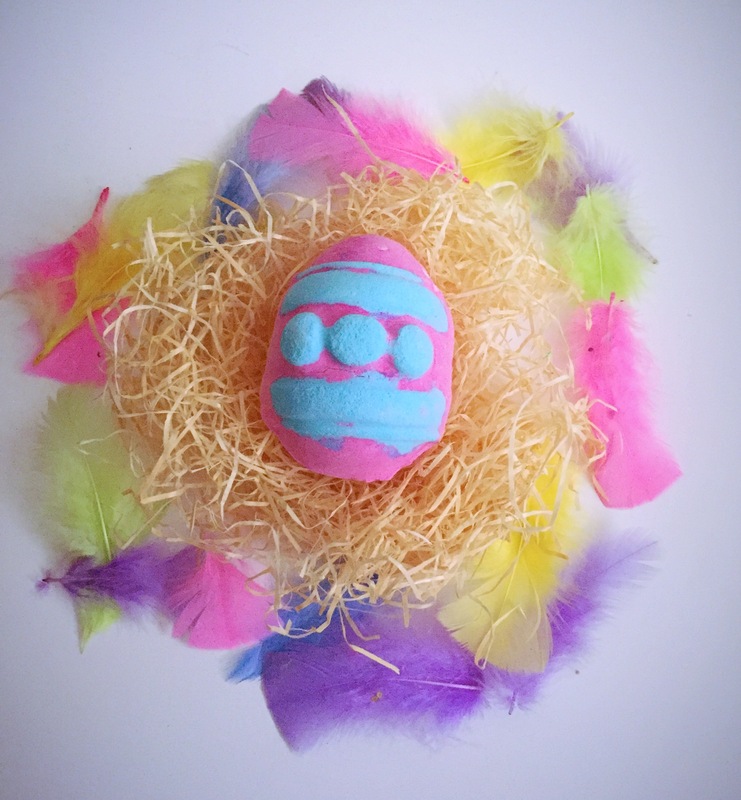 Each half of this egg can be used for a separate bath or both can be used together to create one very epic bath time. Scent wise this bath bomb has a very interesting scent. 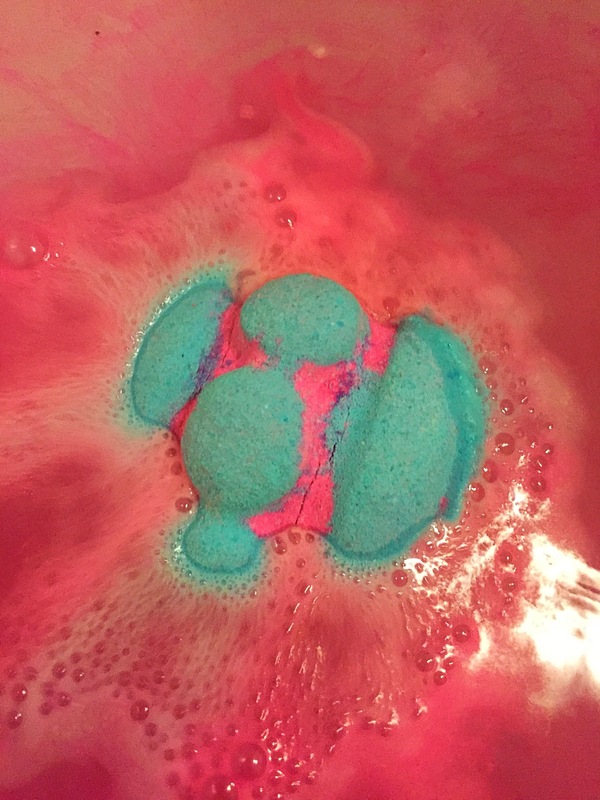 I found the which came first bath bomb to be a musky sweet vanilla scent, with a slight citrusy twist. Featuring lemon oil, grapefruit oil and vanilla, This bath bomb has a enchanting scent that is heighten once put in the water. Overall this is a very invigorating and uplifting scent. Once popped in the water this bath bomb is a very fast fizzer. As soon as it started to fizz it turns the water a vivid pink colour and released its delightful scent. Lush Oxford street have also have their very own exclusive version of this product. 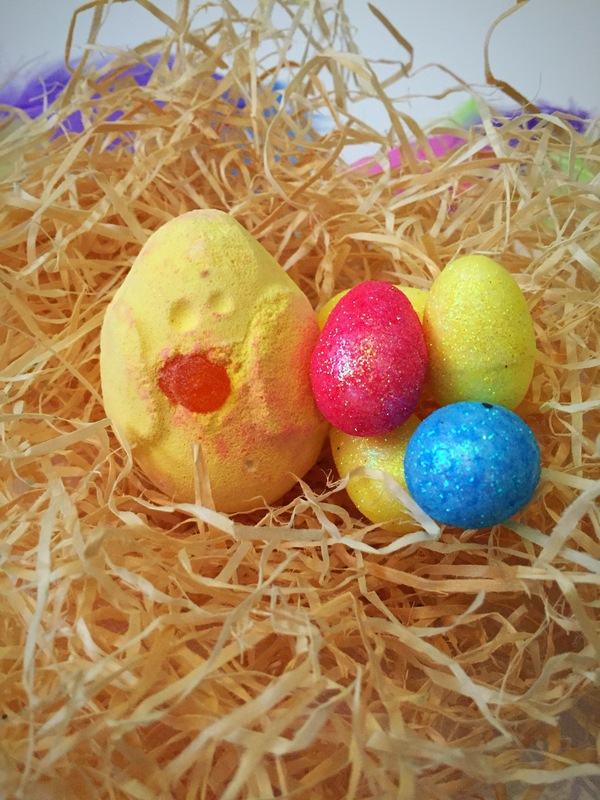 Featuring a slightly different design and being yellow in colour, there bath bomb also contains a tiny rabbit instead of a chick. Overall I really enjoyed this product and loved the scent. However I do find it to be more of a gimmicky product and would only really purchase it as an extra special treat for myself or as a present for my friends and family. Top Tip- make sure you crack this egg open to find the little chick hidden within. Ingredients – Sodium Bicarbonate, Citric Acid, Perfume, Grapefruit Oil, Lemon Oil, Vanilla Absolute, Dipropylene Glycol, Gardenia Extract, Colour 15510, Colour 42090, Limonene, Linalool, Candy Jelly Diamond.